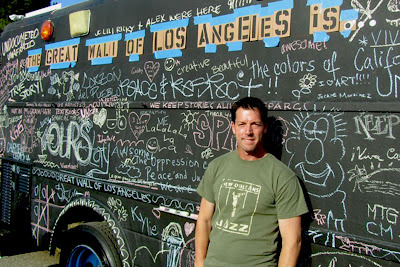 None who have yet to visit The Great Wall of Los Angeles can really claim to be a true San Fernando Valley resident. The wall, which should not be missed, is simply one of the Valley's greatest treasures! The longest mural in the world, took five summers to complete in the mid 1970s. Under the direction of a Los Angeles’ artist-treasure Judy Baca, The Great Wall winds over 2,750 feet in the Tujunga Flood Control Channel just east of Los Angeles Valley College. I make a point of taking visitors to the Valley to see it, and all who go there are in amazement of its brilliance. 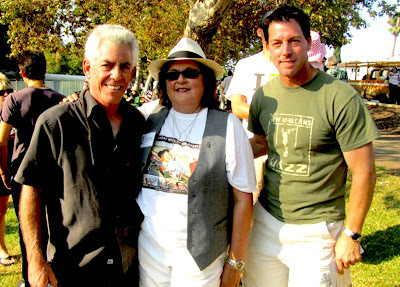 Scott Sterling (Chair of The Museum of the San Fernando Valley's Public Arts Committee), Judy Baca (leader of SPARC and famous mural painter) and Michael Stevens (Vice President for Museum Development) meet at the celebration of The Great Wall of Los Angeles. Michael Stevens, member of The Museum's Board of Directors, works tirelessly to bring the Valley's rich history to our area's school children. 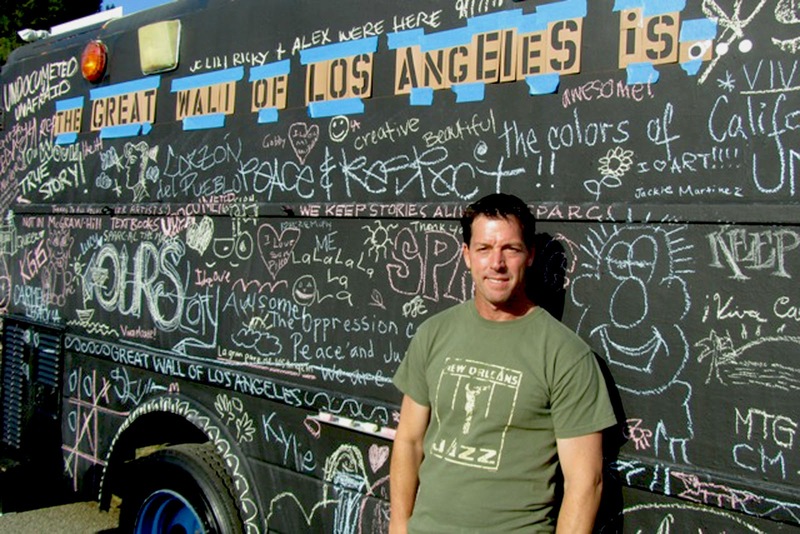 Here he stands in front of Judy Baca's Great Wall van that features the signatures of over 400 school kids who have participated in the mural project.